We're showing information for 62016. Customers and consumers are more informed concerning their purchasing options than ever. They look at their many choices, choosing the business that can best address their specific needs. That means the Illinois market is always getting more competitive. Business owners in Carrollton, IL are constantly battling to attract new customers, which also increases the need for fast, reliable connectivity. Frontier Business packages offer a variety of phone and Internet services—including Business High Speed Internet—designed to help you easily communicate with your clients and your team members. Frontier’s services for small businesses provide you with the tools you need to inspire loyalty in your customers. These resources also help you attract the best partners and connect with your staff members efficiently. This is more important now than ever because the current competition in The Prairie State makes it every bit as tough to find outstanding employees as it does customers. In fact, the future job-growth rate in Carrollton is anticipated to hit 17.78 percent. 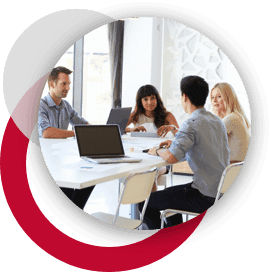 Services such as Texting, Conferencing, Web Development, Hosting, and Managed IT will add to your company’s value, from both the standpoint of an employee and a customer. Growing companies in Illinois should invest in scalable technologies. If you’re facing the challenges that come with an expanding business, Frontier’s Enterprise Solutions are just what you need to continue your expansion with confidence. Choosing products that will continue to be useful, even as your company gets bigger, can help you save time and money in the long run. No matter how rapidly your company grows, scalable Ethernet (Local Area Network and Virtual Private Line) will continue to provide the bandwidth and connectivity that modern business demands. Additionally, our IP Virtual Private Network keeps your IP connection secure as you use the internet. Size and scope aren’t the only factors expanding businesses need to be concerned about. That’s why new technology is also imperative if you want your company to meet the demands of Carrollton business. Centrex from Frontier is the next generation of telecommunications, offering high-quality telephones that keep you and your customers connected from anywhere. 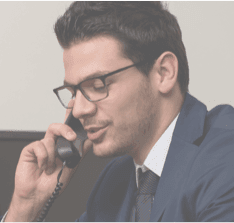 If you’re looking for more than just a great phone connection, consider a Hosted VoIP solution, which also provides unlimited nationwide calling, voicemail, Caller ID, and voice-to-email integration. To make things even easier, you can leave the hosting, equipment, monitoring, and network design up to Frontier Communications. This makes it easier for you and your The Prairie State team to concentrate on customer needs as your business expands, instead of trying to micromanage equipment. Regardless of your industry (Hospitality, Retail, Health Care, Finance, Education etc. ), customers living in Carrollton, IL are all looking for one thing: to make faster connections with businesses and organizations they can trust. They expect to interact with your employees online, in person, and over the phone; and they tend to remain loyal to businesses that provide the resources to make these interactions simple and efficient. When you sign up with Frontier in your area, you get dependable customer service and advanced infrastructure and equipment. Plus, Frontier's services are customized to fit your industry, so you'll be a step ahead of the competition. Your company’s online assets are valuable, so why not ensure they’re safe from online threats. Cybercrimes may seem like something that’s unlikely to actually happen to you, but in 2013, 0 Illinois businesses and individuals fell victim to such crimes. Fortunately, there are ways to protect yourself and your business. Frontier Secure offers reliable technical support, cloud backup, and enterprise-grade malware and virus protection—so you can occupy your time with business concerns instead of cybersecurity. Plus, businesses in Illinois can sign up for Frontier’s equipment replacement programs, provide an additional layer of protection in case anything happens to your hardware. Spend less time waiting on downloads and page loads, and more time serving your customers. Frontier Internet makes efficiency a breeze with speeds of up to . Frontier has your business covered with fast, secure Internet connections that will help you maintain a competitive edge as you grow your business.